Don't be surprised by the price, because the dress is really a masterpiece of cheongsam! 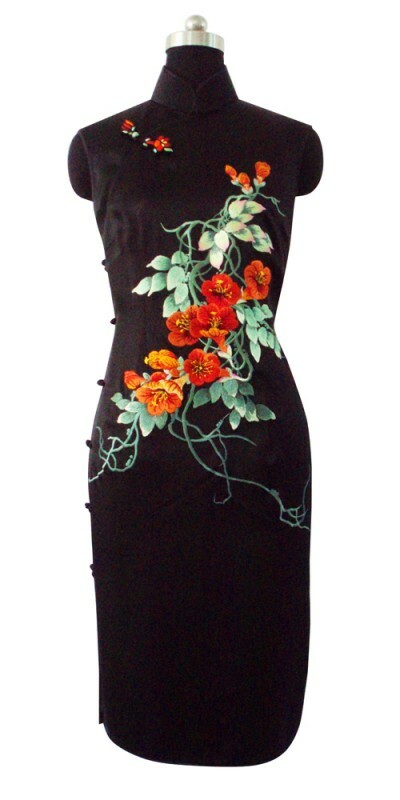 On the fine black satin, flowers embroidery, with embroideries by experience Chinese cheongsam tailor and designer. Fine quality handmade Chinese embroidery cheongsam.